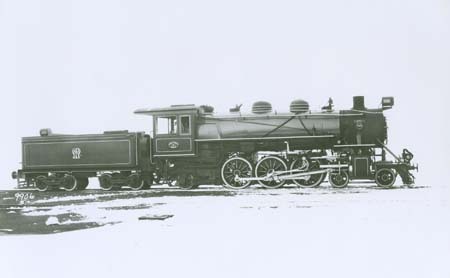 The Pacific was crossed mainly by the steamers of the Canadian Pacific Railway, the Pacific Mail Steamship Company of the American railway tycoon Harriman, competitor Hill's Great Northern Steamship Company in connection with the Nihon Yusen Kaisha from Japan, as well as other Japanese and American companies. There were Cape gauge boat trains Tokyo - Yokohama and Kyoto - Kobe, which disappeared from the timetables during WWII not before 1944. An old photograph had shown such a train Tokyo - Yokohama port with an 8620 class 2-6-0 type locomotive. 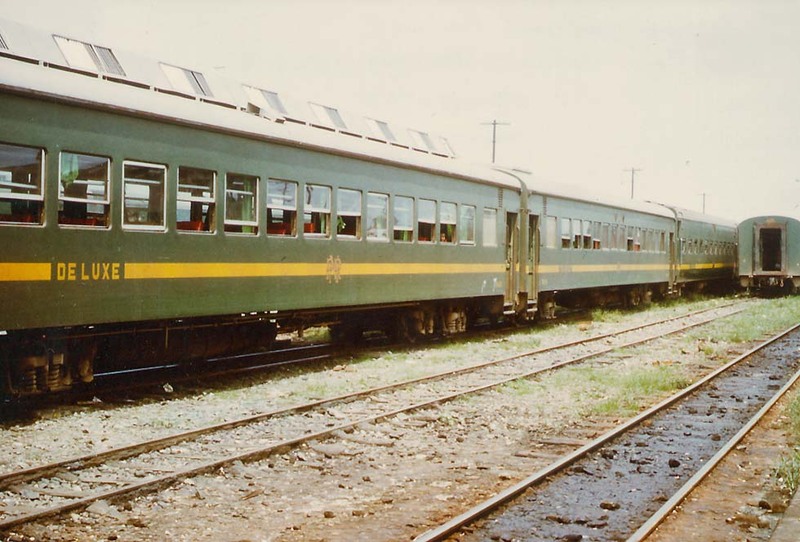 The sleeping, saloon and observation cars of pre-war Limited Expresses then appeared on U.S. military trains in Japan. The epoch of the Pacific steamers already had gone, when in 1964 the first standard gauge high-speed Shinkansen line was inaugurated - see chapter Trans-Siberian/ Japan. The Imperial powers before WWII of course had their own shipping lines for their colonies in the Pacific region. 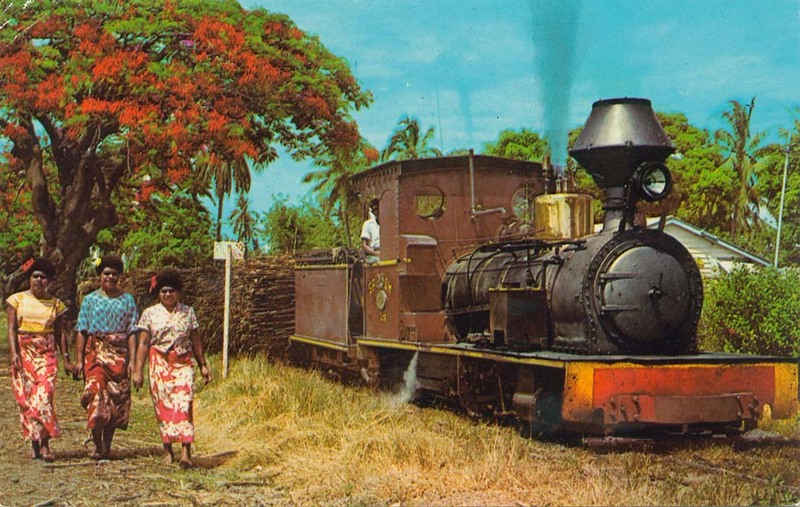 French passengers used special coaches attached to regular trains Paris - Marseille, then steamers of the Messageries Maritimes, and in Noumea, Nouvelle Caledonie, they could take a meter gauge train to La Dumbia and Paita. The line was built in 1915, but closed down in the time of WWII. 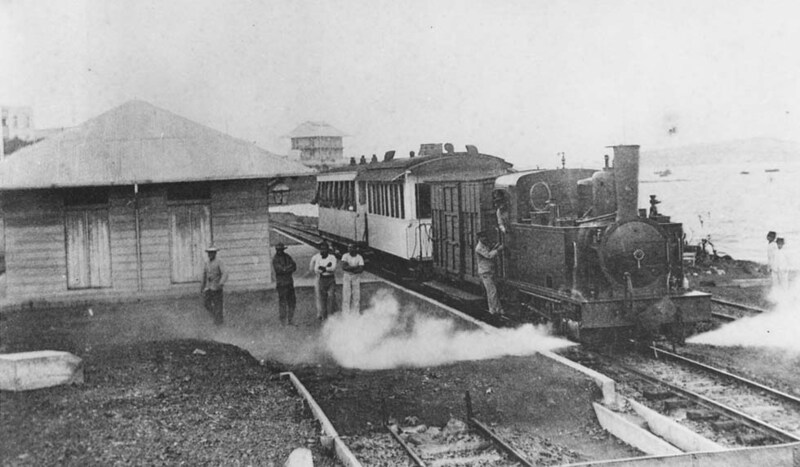 England had started a meter gauge line at the harbor Weston on North Borneo island in 1898. 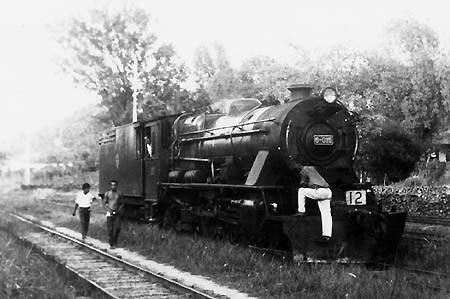 Even at the beginning of the 21st century nice 2-6-2 locomotives, delivered by Vulcan Foundry in 1956, steamed on that Sabah State Railway. Small diesels still haul passenger trains from Kota Kinabalu to Tenom through the picturesque Padas gorge. The Philippines were served mainly by the Compania Trasatlantica from Barcelona. 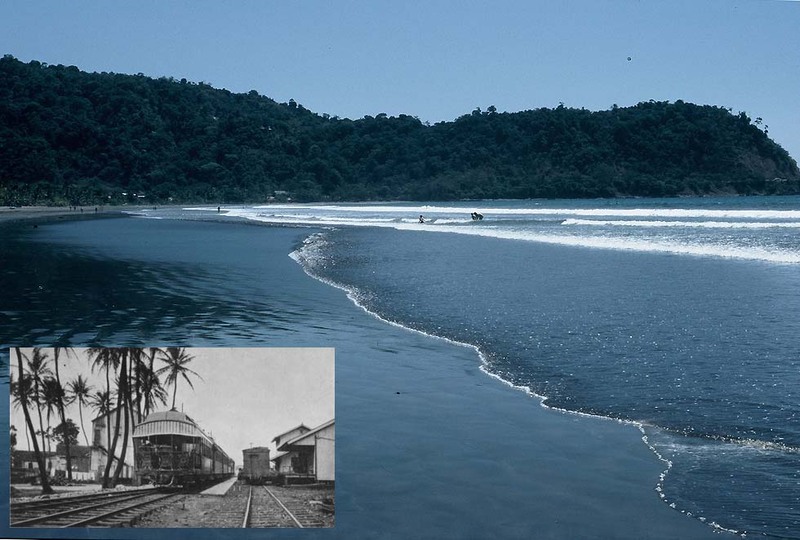 Starting from Manila, a Cape gauge network (Manila Railroad Co., later Philippine National Railways) covered Luzon island, connected with other island railways by ferry services. Still in the 1980s the line from the capital Manila northbound to San Fernando was in operation, but then it disappeared from the timetable. 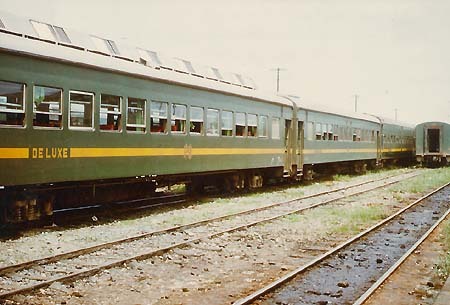 On the southern line to the Bicol province, a new no.1/ 2 Penafrancia Express Manila - Naga, including "Deluxe" sleepers and showing some Shinkansen styling, appeared in the 1980s, but vanished in the 90s. Slower diesel-hauled trains continued the service on that last passenger line of the Philippines to Legaspi in the south. With the typhoon of 2006 the passenger traffic beyond suburban services ended, but in 2010 Railway Gazette Intl informed that Manila � Legaspi was renovated and in 2011 re-opening of passenger services between Manila and the Bicol province was reported. Second-hand coaches, sleepers and diners were acquired from JR East Japan Railway. An attempt to revive the line from Manila to Legaspi in the south was reported by Railway Gazette International in 2015. 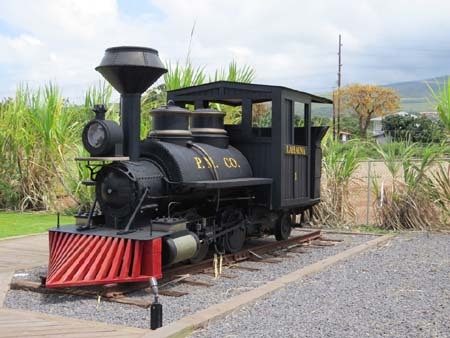 Other island railways in the Pacific area always had local importance only, with the exception of Oahu, a Hawaii island, since 1898 belonging to the USA. 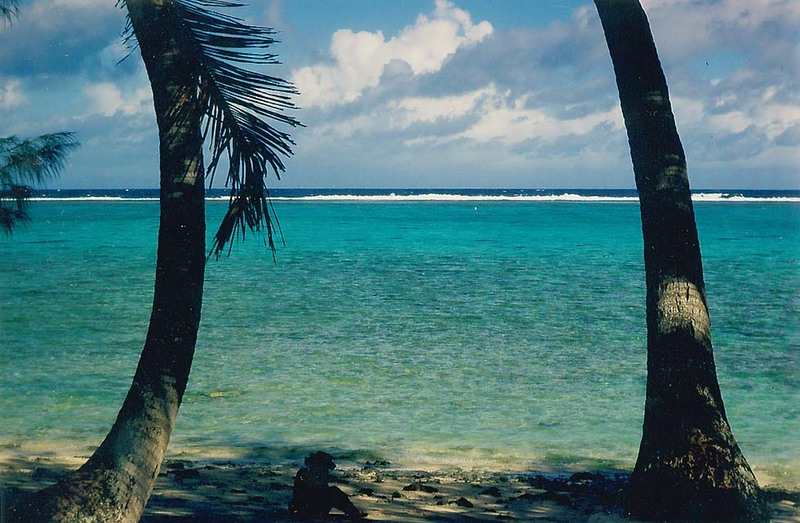 Railway historian Arthur D. Dubin collected the passenger list of a "Boat Train" Chicago - San Francisco from 1935 with four sleeping-cars, connecting with the steamer "Lurline" for Hawaii. 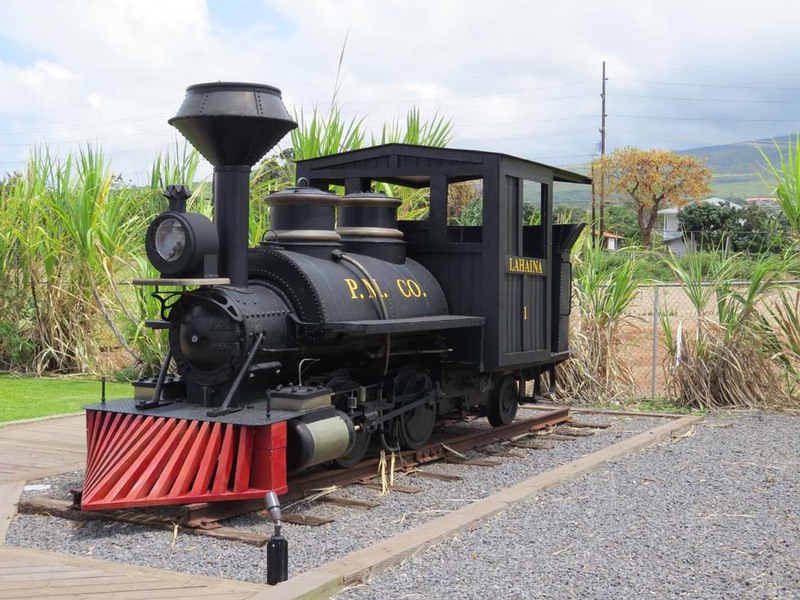 On Oahu island the passengers could take the 3ft gauge railway, started in 1889, which used steam locomotives from Alco, Baldwin and Shay. From the twenties in addition to the normal trains a 1st class "Limited" carrying tourists every Sunday from Honolulu to Waialua and back is reported. On July 12, 1941 the attack on Pearl Harbor stopped Pacific shipping. 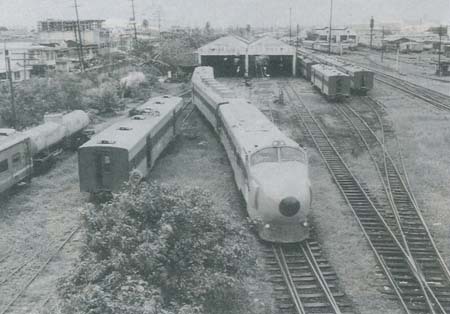 And in 1947 passenger train services on Oahu island ended. 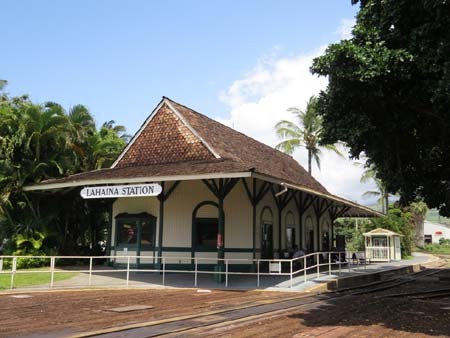 When the author visited Hawaiian islands in 2014, he could still admire a little railway station at Lahaina on Maui Island, and also preserved steam locomotives. This railway was built for agricultural transport, but television showed also a tourist train running there.